1891. 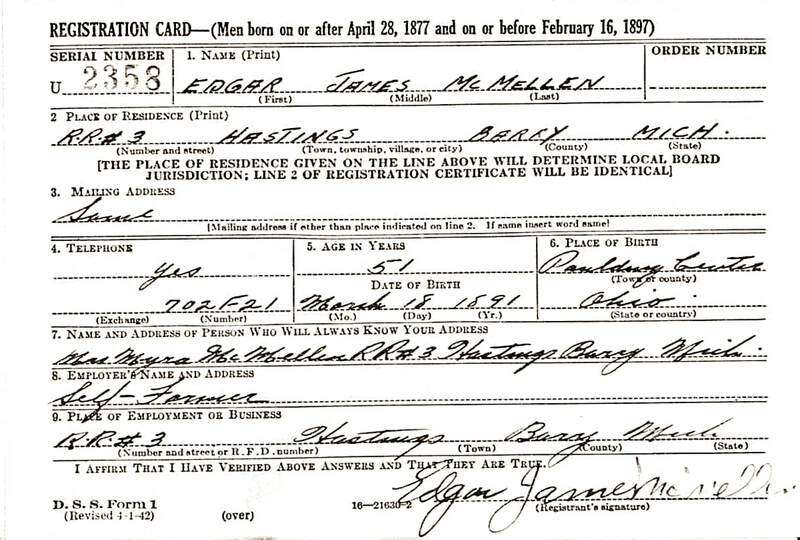 Edgar J. McMellen Jr. [recorded as Edger J. McMellon] was born on 18 March 1891 in Paulding, Paulding County, Ohio, to E. J. McMellon [sic] and Alice Porter. “Ohio Births and Christenings, 1821-1962,” database, FamilySearch(https://familysearch.org/ark:/61903/1:1:XDYH-Q26 : 11 February 2018), Edger J. Mcmellon, 18 Mar 1891; citing Paulding, Paulding, Ohio, reference ; FHL microfilm 925,298. 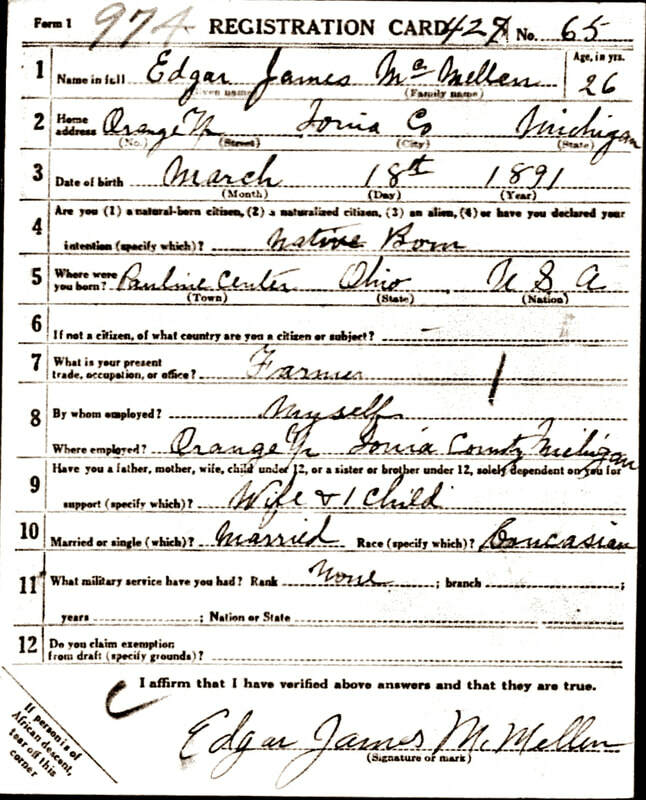 “United States Census, 1900,” database with images, FamilySearch(https://familysearch.org/ark:/61903/1:1:MS9K-ZBF : accessed 7 August 2018), Edgar Mc Mellen in household of Edgar Mc Mellen, Garfield township Newaygo village (part), Newaygo, Michigan, United States; citing enumeration district (ED) 95, sheet 2A, family 35, NARA microfilm publication T623 (Washington, D.C.: National Archives and Records Administration, 1972. ); FHL microfilm 1,240,735. The McMellen family placed membership with the Second Street Methodist Episcopal Church (sat corner Second and Turner streets) in Grand Rapids, Michigan on 2 September 1906. They were received by letter on 20 October 1906 indicating a prior membership with a similar body of believers in their prior location (Newaygo County). Church Microfilms. Viewed in March 2018 at the Grand Rapids Public Library Genealogy Center. “United States Census, 1910,” database with images, FamilySearch(https://familysearch.org/ark:/61903/1:1:ML5P-K8J : accessed 7 August 2018), Edgar Mcmillen, Wyoming, Kent, Michigan, United States; citing enumeration district (ED) ED 148, sheet 19B, family 448, NARA microfilm publication T624 (Washington D.C.: National Archives and Records Administration, 1982), roll 656; FHL microfilm 1,374,669. “Michigan Marriages, 1868-1925,” database with images, FamilySearch(https://familysearch.org/ark:/61903/1:1:N3K8-TZ8 : 10 March 2018), Edgar J. Jr. Mcmellen and Letta D. Rickard, 26 Apr 1911; citing Charlotte, Eaton, Michigan, v 2 p 187 rn 84, Department of Vital Records, Lansing; FHL microfilm 2,342,692. Man Charged with Assault is Remanded to Jail. 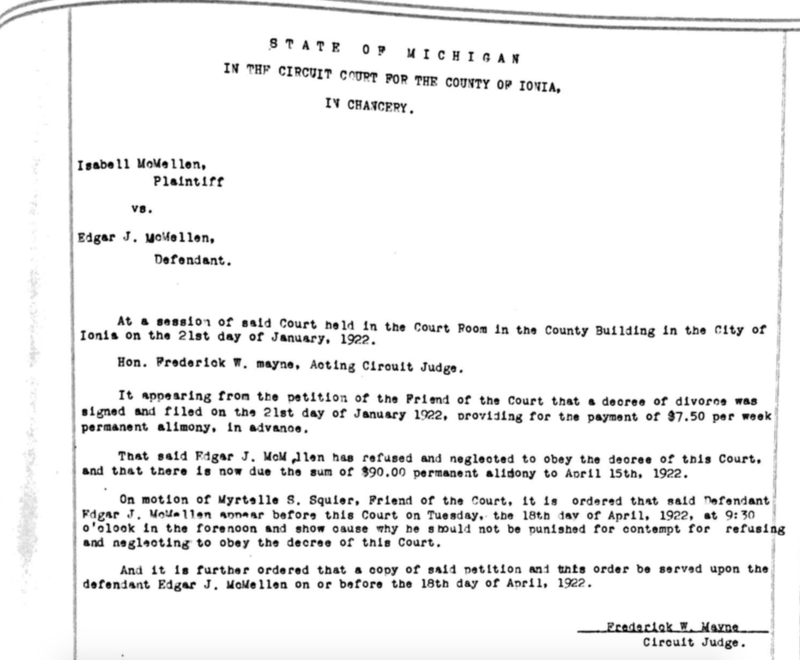 Edgar J. McMellen, aged 20, charged with a statutory crime by Minnie Trem [sic], aged 14, demanded examination when arraigned before Judge Creswell yesterday afternoon. Examination of the case will be held Saturday morning. 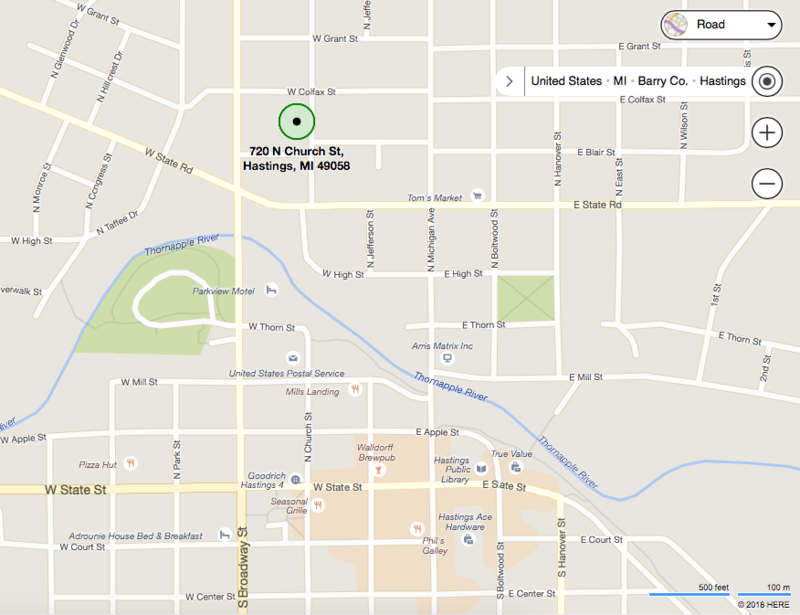 Failing to find a bondsman for $2,000 he was remanded to the county jail. The young man stoutly asserts that the girl has made a mistake in the person who assaulted her. He is employed as a boatman at North park. Wrangle of Attorneys Feature McMellen Trial. Assistant Prosecuting Attorney Louis T. Herman and N. P. Allen, attorney for the defendant in the case of Edgar McMellen, charged with a statutory crime, which began in Judge Brown’s court yesterday, mixed it in a battle of words at various times during the afternoon. The fight waxed so strong at one time that Judge Brown advised them “to confine their address to the witness and settle their differences outside the court room after court adjourned.” The defense has introduced but one witness so far. It is expected that the case will go to the jury this afternoon. Wife With Babe Hears Jury Convict Husband of Crime Against Girl. Edgar J. McMillen was convicted by a jury in Judge W. B. Brown’s court yesterday afternoon of a statutory offense against Minnie Treuer, a girl of 14 years, and was remanded for sentence Saturday morning at 9 o’clock. The case was stubbornly contested, Attorneys H. T. Barnaby and N. P. Allen appearing for the defendant, and Assistant Prosecutor Herman for the state. The trial commenced on Tuesday, and the case was given to the jury at about 4 o’clock yesterday afternoon. The jury was out but a little over an hour, and brought in a verdict as noted. The young wife of the defendant was present in court, with a babe of a few weeks in her arms. The defendant’s mother and other relatives were also present when the verdict was rendered, and the mother was overcome, fainting in the courtroom. The police ambulance was called to convey her to her home. Hard to Get a Jury. Edgar J. McMellen on trial in Judge Brown’s court charged with a serious offense against a young girl. The regular panel of jurors was exhausted yesterday and a special venire was summoned to appear today. Through a misunderstanding on the part of the deputies serving the jury notices some of the special venire were told to report at 9 o’clock this morning and some at 2 o’clock this afternoon. 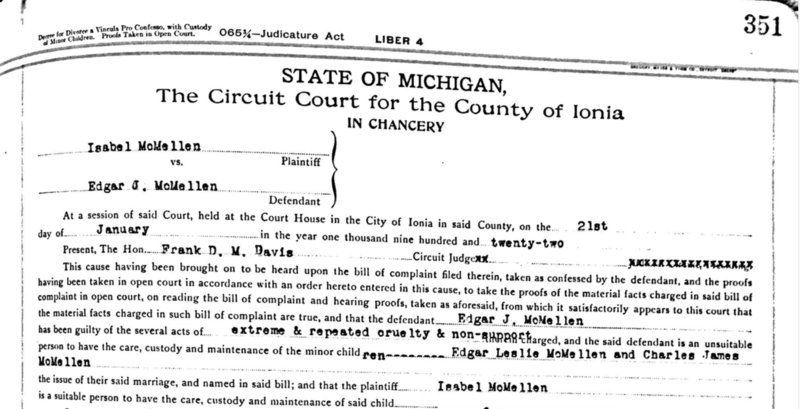 Edgar J. McMillen is Convicted of Serious Offense Against a Small Girl. Edgar J. McMillen was convicted of committing a serious offense against a fourteen-year-old girl by a jury in Judge Brown’s court [Judge Wm. B. Brown presided over the County Court]. The offense carries with it a life sentence or a lesser term of years in the discretion of the court. McMillen is twenty-three years old and in the courtroom by his side was his young wife and his eight months-old baby. When the jury reported a verdict of guilty the parents of the respondent collapsed and the moans of the innocent sufferers were heard through the corridors of the courthouse. The mother had to be taken to her home in the ambulance. The charge against McMillen was of a revolting character and the evidence against him was especially strong. The jury deliberated just a little more than an hour before reaching an agreement. Leniency was recommended. Sentence will be imposed Saturday morning. The Michigan Marriages 1868-1925 database has a Minnie Truer, age 18, who would have been 14 in 1912, that married a John Hoekzema, age 21, in Grand Rapids on 24 July 1916. Minnie was a Dutch girl, born in the Netherlands to John Truer and (unknown). They were married by the Justice of the Peace, a bit unusual for a Dutch family who typically would be married in Church. Minnie worked as a bookkeeper. The US Social Security Applications and Claims Index shows a Minnie Treur Hoekzema born on 29 November 1898 at Uithoorn, Netherlands to Jan Treur and Wilhelmina Schoondermar. Minnie died on 20 September 1989 in Grand Rapids (Obit published 21 September 1989 in Grand Rapids Press). Date of Marriage: 26 April 1911 in Charlotte; one child (Everett); wife filed complaint on 31 March 1914. Apparently Edgar received a very lenient sentence for his conviction of having some sort of sexual relations with a 14-year old girl. Must have been a slap on the hand for he married for a 2nd time just 3 short years later. 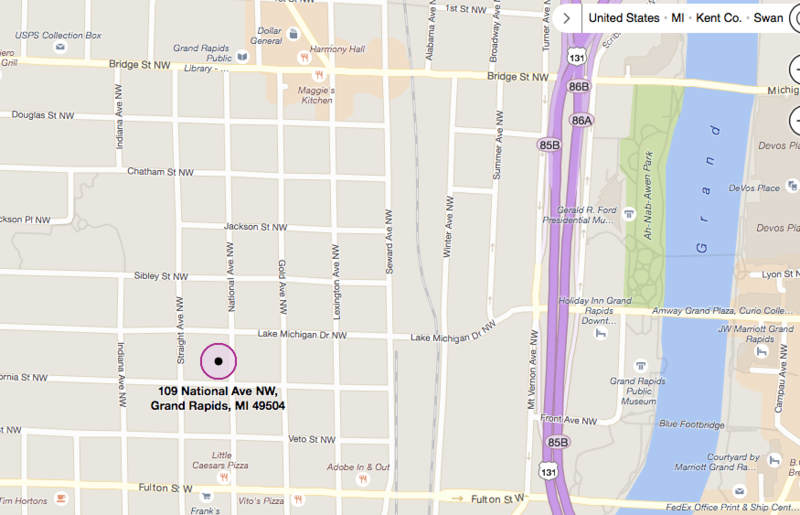 ​Witnesses: Richard Walker of Ionia and Mrs. Ethel Rau of Grand Rapids. 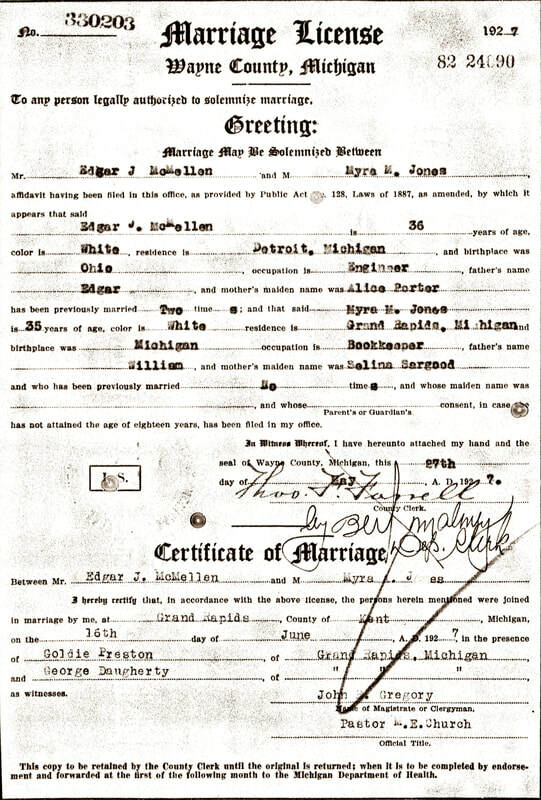 “Michigan Marriages, 1868-1925,” database with images, FamilySearch(https://familysearch.org/ark:/61903/1:1:N3PM-FP1 : 10 March 2018), Edgar J. Jr. Mcmellen and Belle Walker, 25 Dec 1915; citing Ionia, Ionia, Michigan, v 2 p 427 rn 4203, Department of Vital Records, Lansing; FHL microfilm 2,342,710. 1916 Birth of Son Number Two. ​Leslie Edgar McMellen was born in Ionia, Ionia County, Michigan on 2 November 1916. [Source: SS Death Index] Leslie died on 1 March 1979 in Milford, Oakland County, Michigan. He is buried in the Milford Memorial Cemetery. 1917 World War 1 Draft Registration. Edgar James McMellen; age 26; home: Orange township, Ionia County, Michigan; birthdate: 18 March 1891 at Pauline Center, Ohio; occupation: farmer – own employer – farm in Orange township; Dependents: wife and 1 child; Married; Caucasian; No prior military service; (tall, medium, short) – Tall; (slender, medium, stout) – Medium; Eyes: Blue; Hair: Blonde; Bald: No; signed on 5 June 1917. 1918 Birth of Son Number Three. 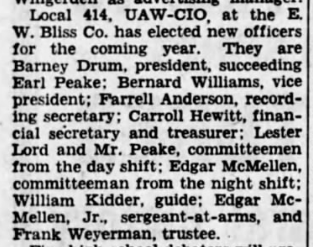 Charles James McMellen was born in Ionia, Ionia County, Michigan on 23 June 1918. [Source: US Cemetery & Funeral Home Collection]. He died 27 December 2012. Last known residence Greenville, Miss. 1921 Birth of Illegitimate Daughter. 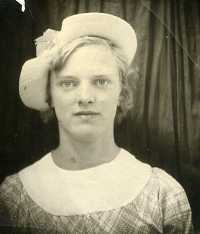 Betty Jane Mastbergen was born on 9 September 1921 to Pauline Mastbergen and Edgar James McMellen. Pauline was 18. Due to the close proximity of Edgar’s 2nd wife Isabel filing for divorce just days prior to Betty’s birth may point to her “knowing” about Betty. But perhaps this is just coincidental. DNA via 23andMe, AncestryDNA, and MyHeritage all point to the same conclusion: that Betty is indeed Edgar’s daughter. 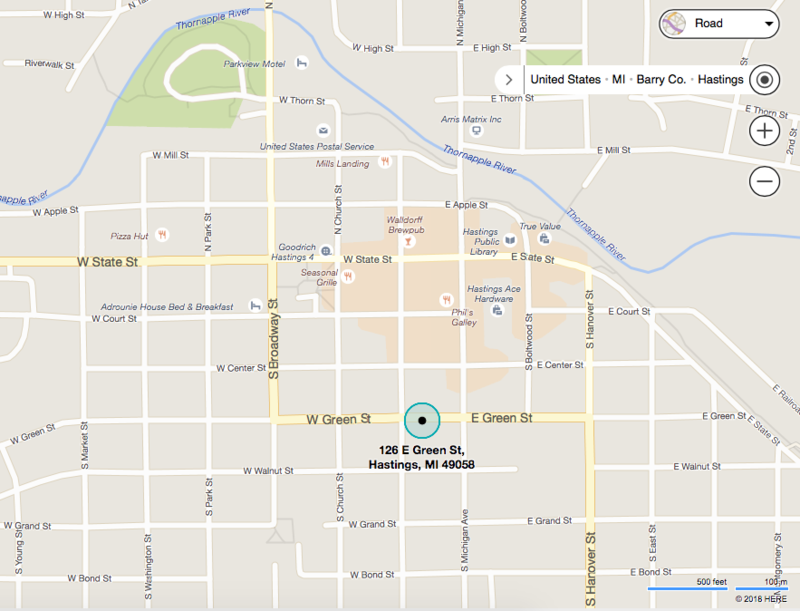 Note: Case File requested 22 March 2018 from Ionia County Clerk. Resent request 26 March 2018. 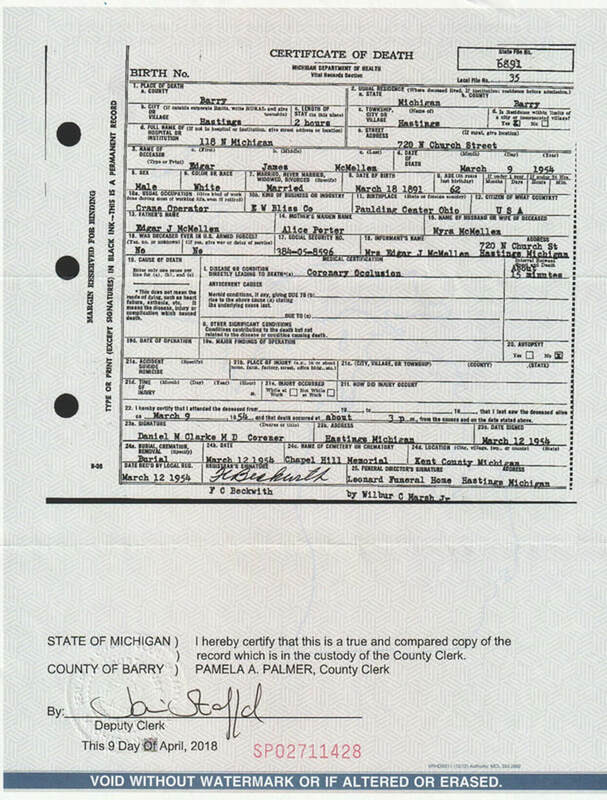 Ionia County Clerk responded 26 March 2018 referring me to the Michigan State Archives for this file referencing Vol 38, Barcode number 966605, Records Description Vol. O, 1919-1922, Retention & Disposal Schedule Item Number 16.042. On 26 March 2018 I contacted the Archives with this information via their website. Received an email on 27 March 2018 from the State Archives. Cost is $20 for the Chancery Decree and Order for the reference case. I was told “while we do have the records you are interested in obtaining, we will only have the Chancery Decrees and Orders…there isn’t going to be a case file.” Bummer. I was interested in reading the details. I placed the order 27 March 2018. Received via email on 31 March 2018. 1922 Grand Rapids City Directory. 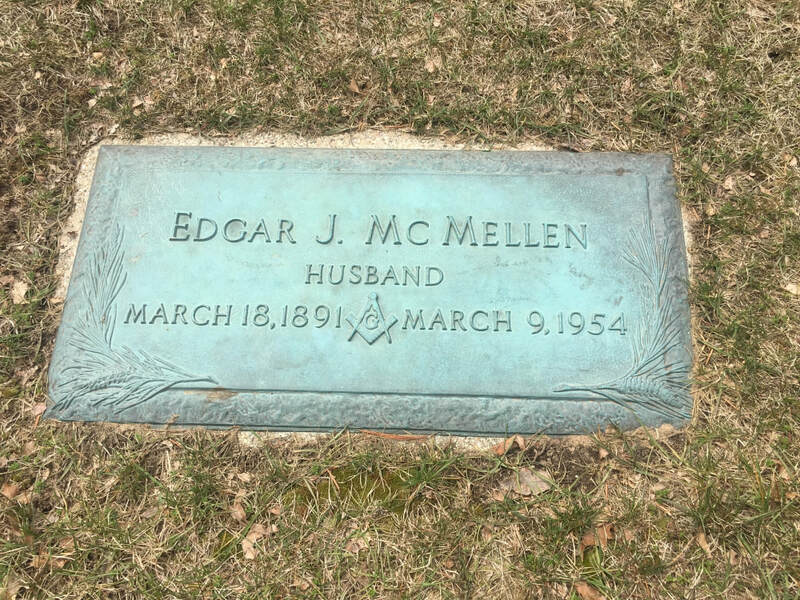 Edgar J. McMellen; age 36; residence – Detroit, Michigan; birthplace: Ohio; occupation: Engineer; father: Edgar; mother: Alice Porter; married 2x previous. Myra M. Jones; age 35; residence – Grand Rapids, Michigan; birthplace: Michigan; occupation: Bookkeeper; father: William; mother: Selina Sargood; not married previous to this marriage. Witnesses: Goldie Preston and George Daugherty, both of Grand Rapids. 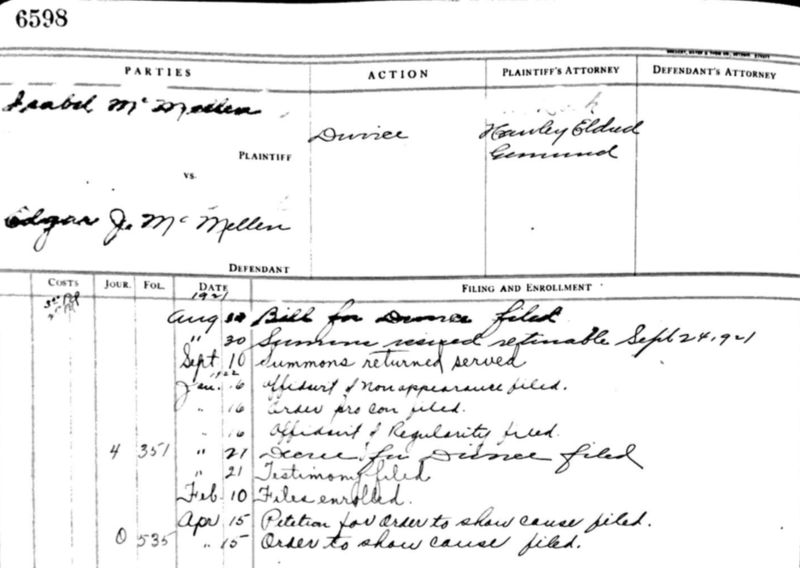 “United States Census, 1930,” database with images, FamilySearch(https://familysearch.org/ark:/61903/1:1:XQBL-GBP : accessed 7 August 2018), Edgar Mc Mellen, Oakfield, Kent, Michigan, United States; citing enumeration district (ED) ED 124, sheet 3B, line 78, family 19, NARA microfilm publication T626 (Washington D.C.: National Archives and Records Administration, 2002), roll 1004; FHL microfilm 2,340,739. 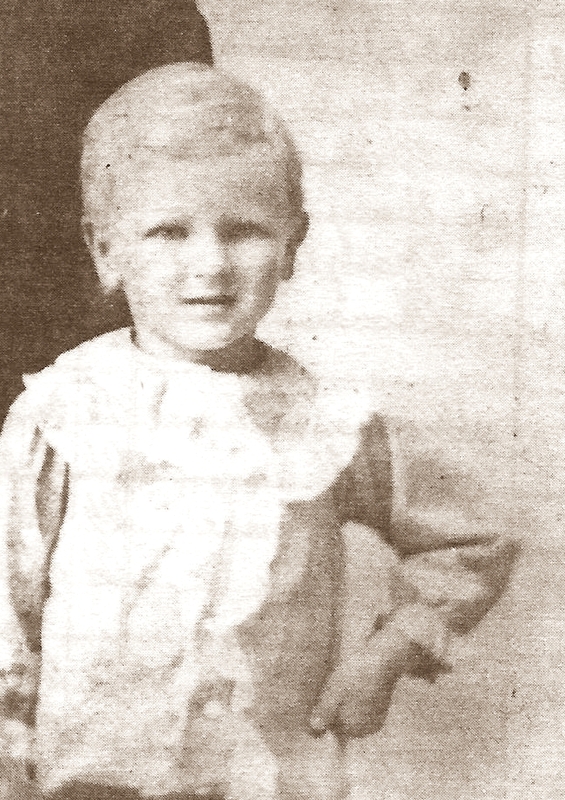 1930 – Birth of Son Number Four. 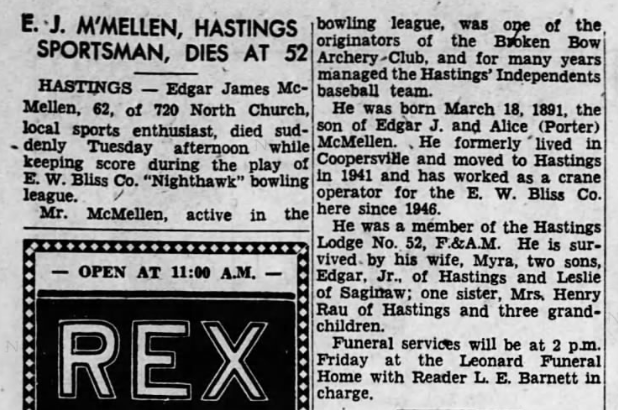 Edgar Joseph McMellen was born 28 May 1930 in Oakfield, Kent, Michigan. [Source: US Cemetery & Funeral Home Collection.] Edgar died 2 September 2013 in Hastings, Barry, Michigan. Siblings listed: Eugene (Joyce) Haywood, Leslie McMillen, and Rita Walters. 1935 Grand Rapids City Directory. 1936 Grand Rapids City Directory. Marne, Wright Township, Ottawa County, Michigan. “United States Census, 1940,” database with images, FamilySearch(https://familysearch.org/ark:/61903/1:1:K4P6-X83 : accessed 7 August 2018), Edgar Mcmellen, Marne, Wright Township, Ottawa, Michigan, United States; citing enumeration district (ED) 70-45, sheet 11B, line 71, family 216, Sixteenth Census of the United States, 1940, NARA digital publication T627. Records of the Bureau of the Census, 1790 – 2007, RG 29. Washington, D.C.: National Archives and Records Administration, 2012, roll 1809. 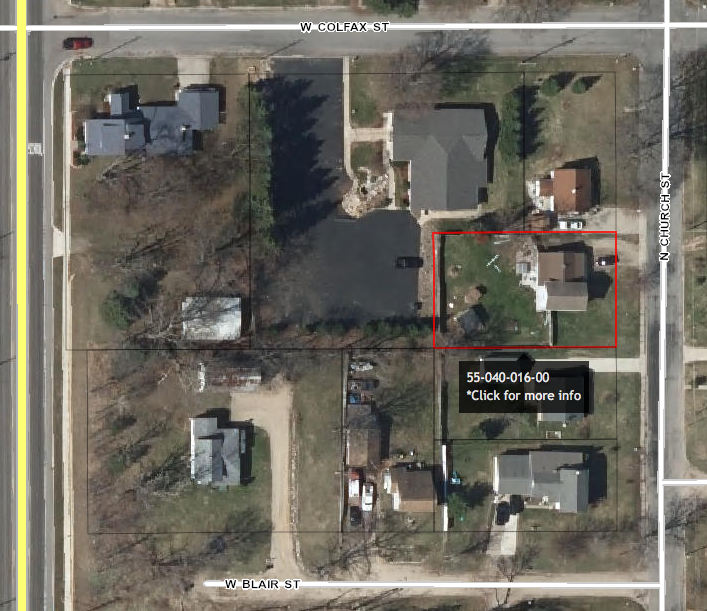 Edgar James McMellen; Residence: RR#3 Hastings, Barry County, Michigan; telephone: 702F21; Age: 51; Date of Birth: 18 March 1891; Place of Birth: Paulding Center, Ohio; Next of Kin: Mrs. Myra McMellen – same address; Employer: Self – Farmer. 1947 Hastings, Barry County, Michigan City Directory. McMellen Edgar J. (Myra A.; Hastings Rug Clnrs) h126 E Green. 1950 Hastings, Barry County, Michigan City Directory. McMellen Edgar J. (Myra A) Crane Operator, E W Bliss Co., h720 N Church. McMellen Edgar J. Jr. Mach Operator, E W Bliss Co., r720 N Church. 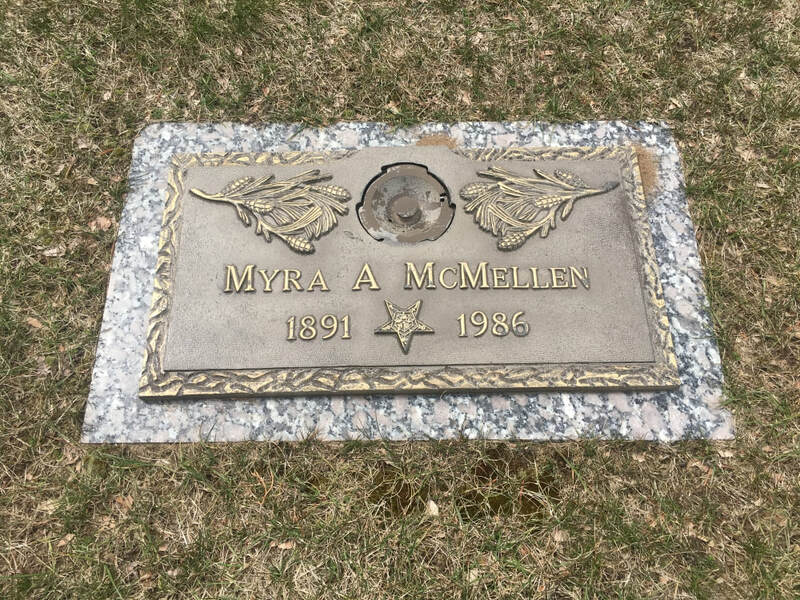 McMellen Myra A. Mrs. Secretary Laurence E. Barnett, r720 N Church. 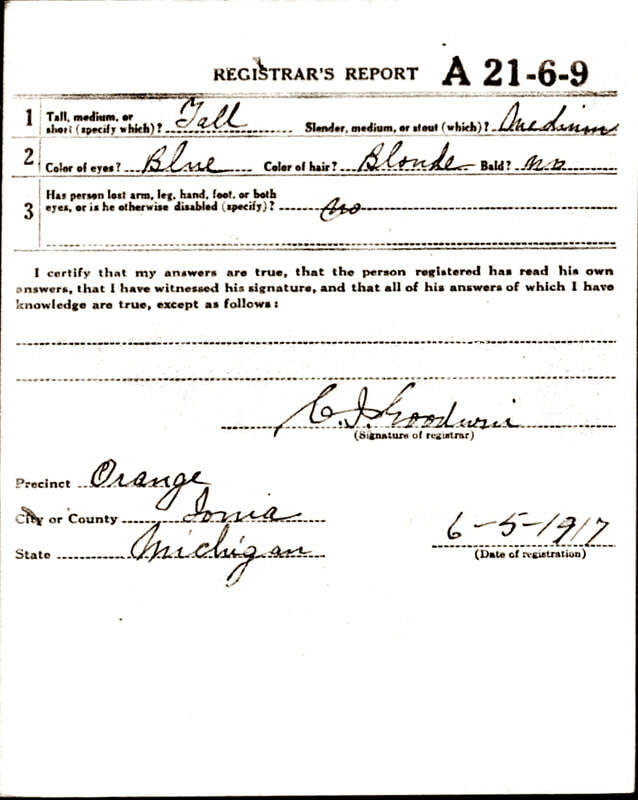 Certificate of Death – State File No. 6891. Edgar James McMellen. Born 9 18 March 1891 at Paulding Center, Ohio. Died 9 March 1954 at Hastings, Michigan. Cause of Death: Coronary Occlusion. Lasted about 15 Minutes. 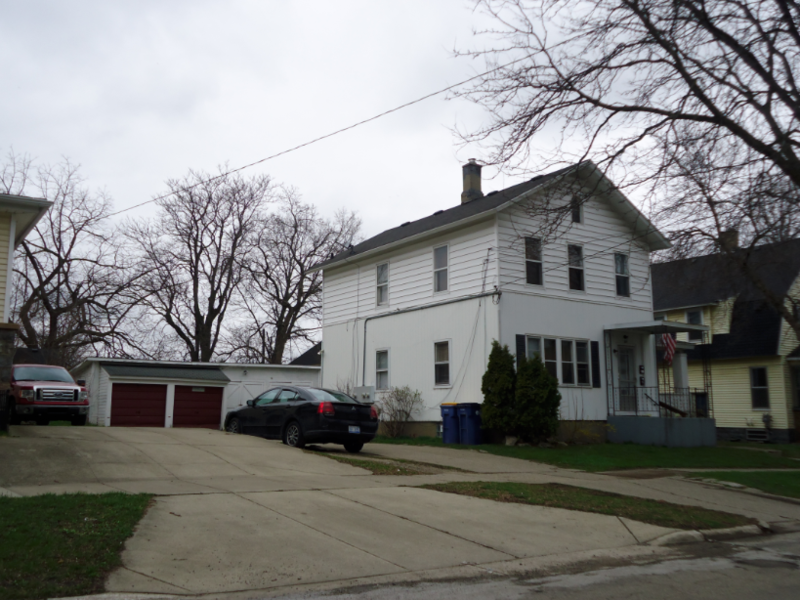 Last Residence: 720 N Church Street in Hastings. Occupation: Crane Operator for E W Bliss Co. Buried at: Chapel Hill Memorial in Kent County, Michigan. Edgar is buried in the private Chapel Hill Memorial Gardens in southeast Grand Rapids. 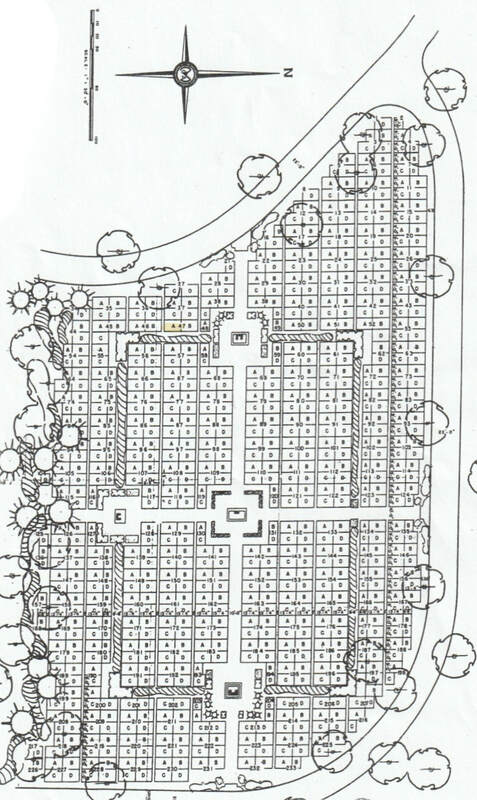 Lot 47 A 1 in the Garden of Masonic. Edgar was a Mason; wife, Myra a member of the Order of Eastern Star (Mason). 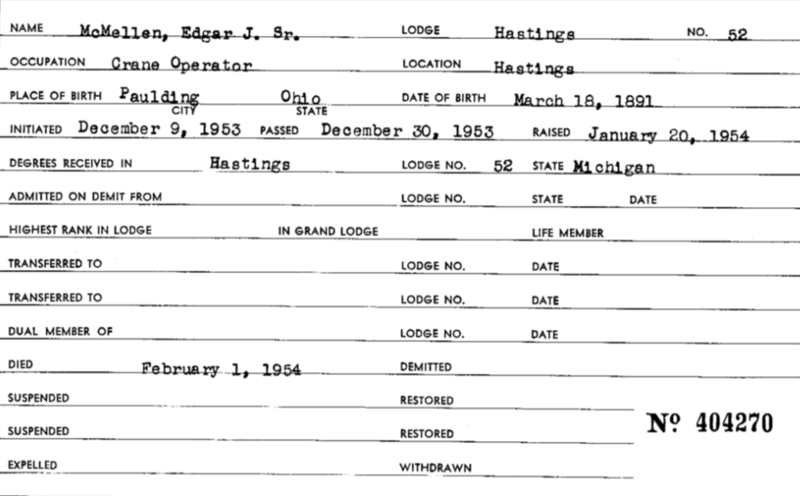 Edgar was a member at the Hastings Lodge #56 in Hastings, Barry, Michigan. According to the Grand Lodge of Michigan Edgar rose 3 degrees to the level of Master Mason in just 2 months. He joined the lodge on 9 December 1953 and achieved Master Mason on 20 January 1954 just a few weeks before his untimely heart attack. Wife Myra died at the age of nearly 95 years. 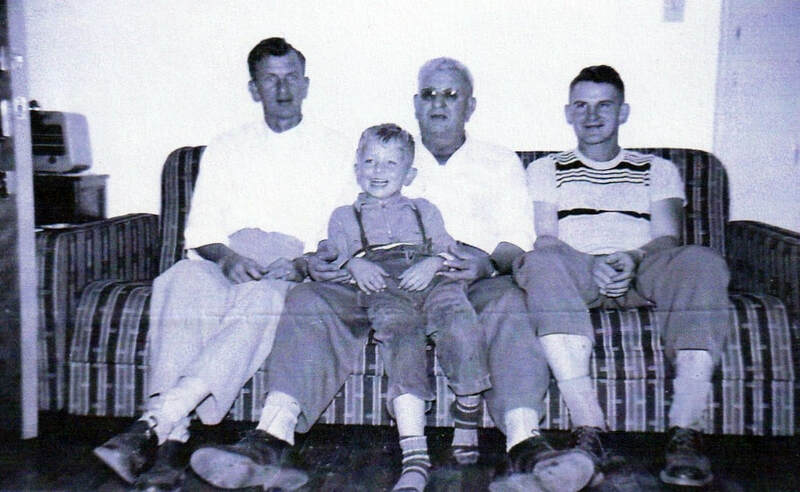 (From Left to Right) Leslie Edgar (2nd son), Edgar James, Edgar J. (4th son) and the small boy is Larry, Leslie’s son. 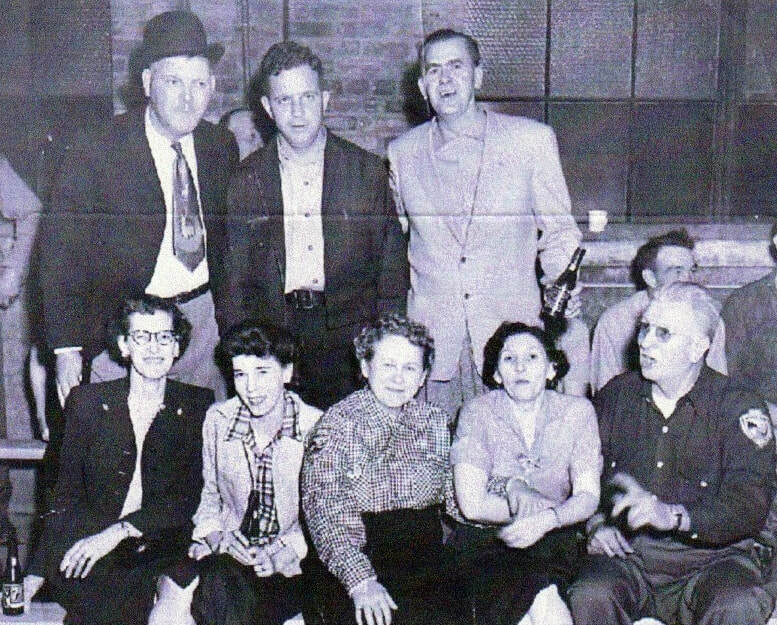 Picture likely circa 1950s. Photo Courtesy Brian & Theresa McMellen. Edgar James McMellen (seated on right) and wife Myra (seated in middle). Photo Courtesy Brian & Theresa McMellen.